MAC is pleased to present HUES MUSE, an exhibition of works by painters Mark Brosseau, Lisa Haskell, Clint Jukkala, and Anne Schaefer. 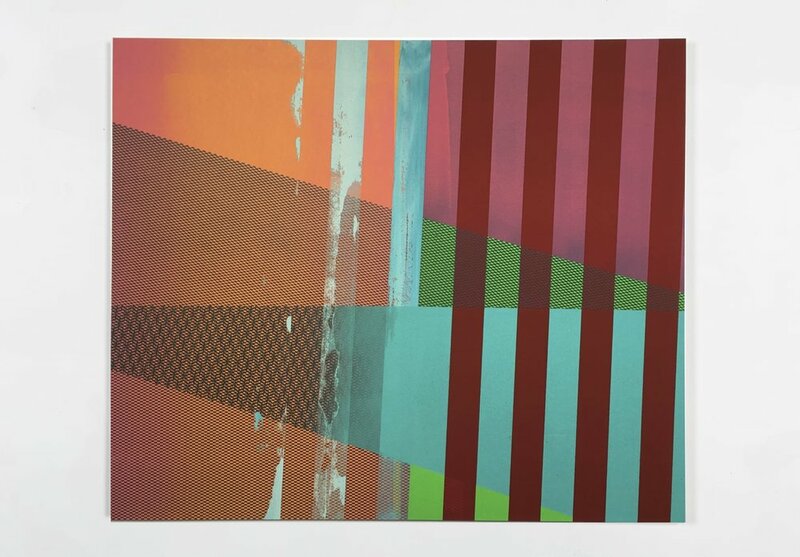 All four artists have an ongoing engagement with color and space in their work. 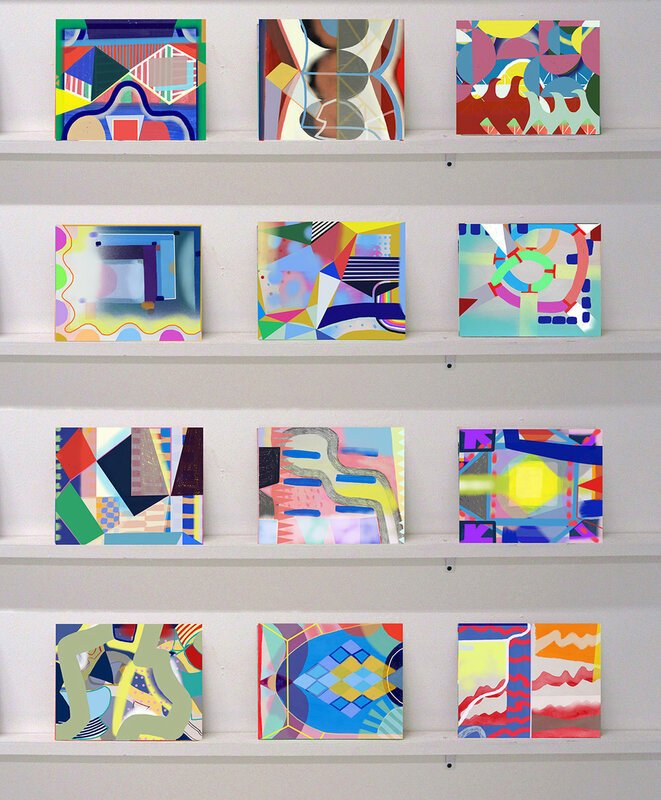 Mark Brosseau’s practice is driven by curiosity. His paintings are experiments, and he wants them to be simultaneously vast and intimate – equally fleeting and precious. Brosseau’s paintings function as both the result of asking questions and the impetus for asking more questions. Brosseau invites the viewer to inhabit his paintings, engage with the questions he has posed, and come away with their own questions. Lisa Haskell references organic and built forms in her paintings - colorful honeycombs, lines and trails repeat themselves across the canvas using a grammar drawn from her own surroundings. Haskell utilizes this abstract language to articulate space and depth in her work, where abstraction serves as a scaffold for a perceived otherworldly landscape. In his recent work Clint Jukkala has been exploring points of view and the lenses through which we see. The work encourages viewers to become aware of their own seeing as they look at paintings that look back at them in return. Jukkala is interested in frames and framing devices and utilizes them in his work - in earlier iterations these framing elements were rectangular, now they are often circular or oval-like. They tend to suggest eyes, goggles and periscopes. These forms exist in worlds that often evoke landscape elements like water, grass and sky. Much of Anne Schaefer’s new work mines the imagery, pattern and chance forms created in the studio. Schaefer uses material refuse from the creation of work as the source material (or building blocks) of new work, which reflects an ongoing interest in working with basic forms to generate a more complex visual experience. About MAC Mount Airy Contemporary was founded in 2009 by co-directors Andrea Wohl Keefe and Colin Keefe. Based in northwest Philadelphia, MAC focuses on providing low key, high quality art experiences in an informal residential setting.